Father Yah is in the details and, in this case, in the sacred math and the sacred geometry. 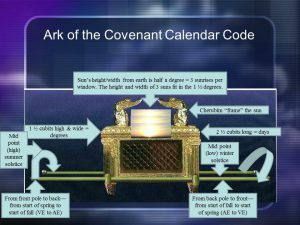 Terumah is about much more than architecture, materials and measurements; it’s about sophisticated math and astronomy, even prophecy. See some of the deepest Messianic patterns ever to come out of the Torah!